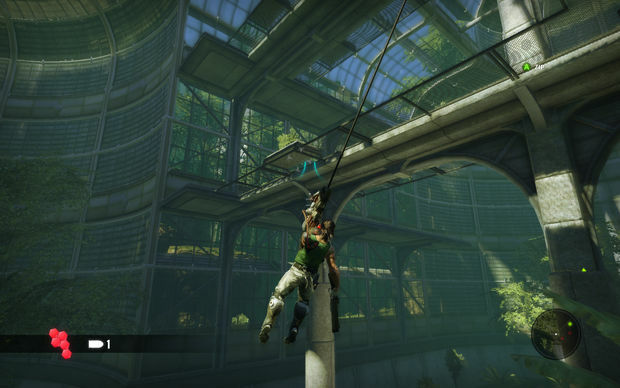 "It's worth checking out to play with the swing mechanics and to see the game's impressive visuals," Conrad wrote in the Destructoid review of Bionic Commando, "but I wouldn't recommend wasting more than a few hours on it and can't encourage anyone to pay retail price for the opportunity." Well, now you don't have to. It looks like Capcom's poor sales of the title are your gain. Today retailer GameStop has dropped the price of Bionic Commando for the PlayStation 3 and Xbox 360 to $19.99. While the price is still $59.99 on GameStop.com, we've confirmed this with the retailer this morning. It's more likely this is a limited time deal, and not a permanent price drop. Go get it while it's hot.